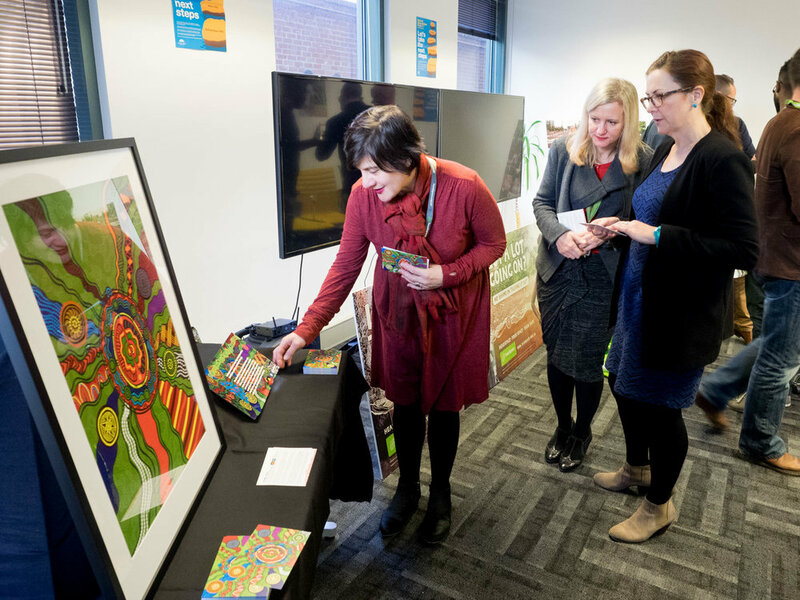 headspace commissioned WeAre27Creative - an Indigenous design agency, to produce a bespoke Artwork to tell the story of headspace for the Indigenous focused service offerings, programs and staff members. This bespoke artwork will assist in communicating the headspace current and future commitments to Aboriginal and Torres Strait Islander Peoples of Australia. 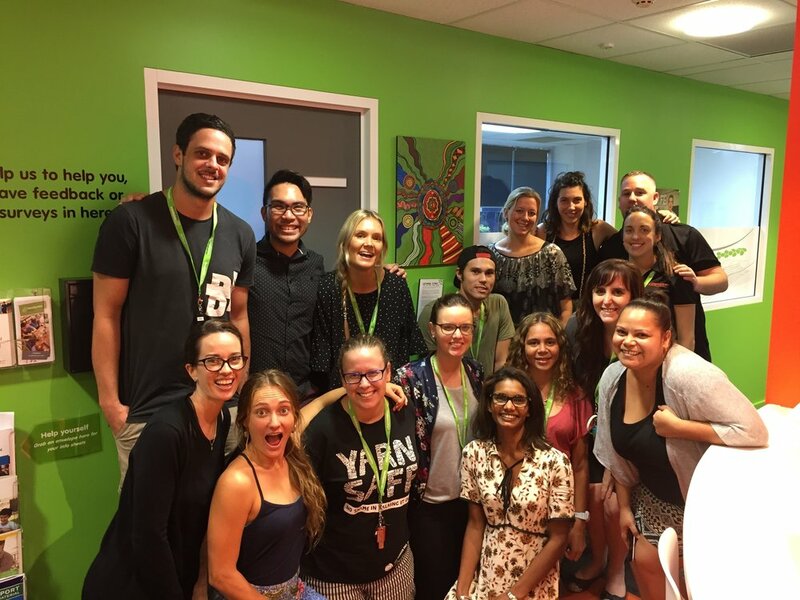 Through building stronger relationships within communities throughout all of Australia, headspace primarily aim to create early intervention programs that are tailored to reach young Indigenous and Non-Indigenous people. education and employment opportunities, cultural consultation and awareness of the significance of Land, Country, Sea and Sky to Indigenous Australians; where headspace offices are located across the country and provide their services. Through building respect, relationships and creating opportunities for Aboriginal and Torres Strait Islander People this will help to assist in educating both internal staff within headspace and externally to clients, associates, suppliers and to the broader Australian community. • Factors that influence Social and Emotional Wellbeing (personally and collectively). The first activity in the creative strategy session was designed to introduce the group to each other on a personal and cultural level. As the group consisted of headspace staff and board members from a diverse range of backgrounds, and geographic locations it was important to follow Aboriginal and Torres Strait Islander cultural protocols by getting all participants to introduce ‘who they are,where they come from’ as well as identifying the their top three personal values to the group. 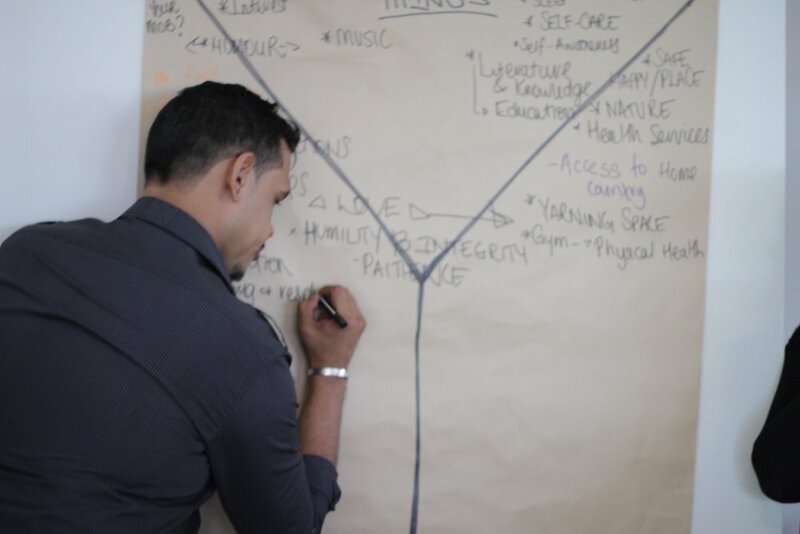 These values were then mapped across the headspace organisation’s values to highlight how the staff’s personal values and experiences have inspired them to work at an organisation that is aligned with and shares very similar values. The creative artwork process: Riki Salam developing and painting up the bespoke artwork: mind, body, spirit, culture, country. The headspace Artwork visually represents headspace as an organisation, people and community. 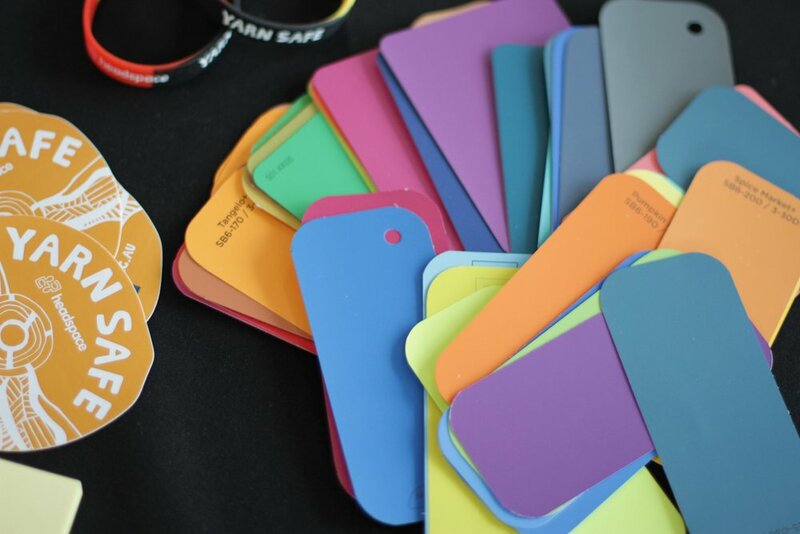 The artwork will be fundamental in depicting the relationships between key headspace stakeholders and the impact that headspace as an organisation is making in the lives of young people across Australia. The Artwork will be a symbolic representation of Indigenous/Non-Indigenous headspace staff highlighting their connection to communities, service providers and young people. All of the individual and group activities completed in the creative strategy session were developed to rapidly consolidate the key themes and messages that will inspire Artwork design and story by We Are 27 Creative. 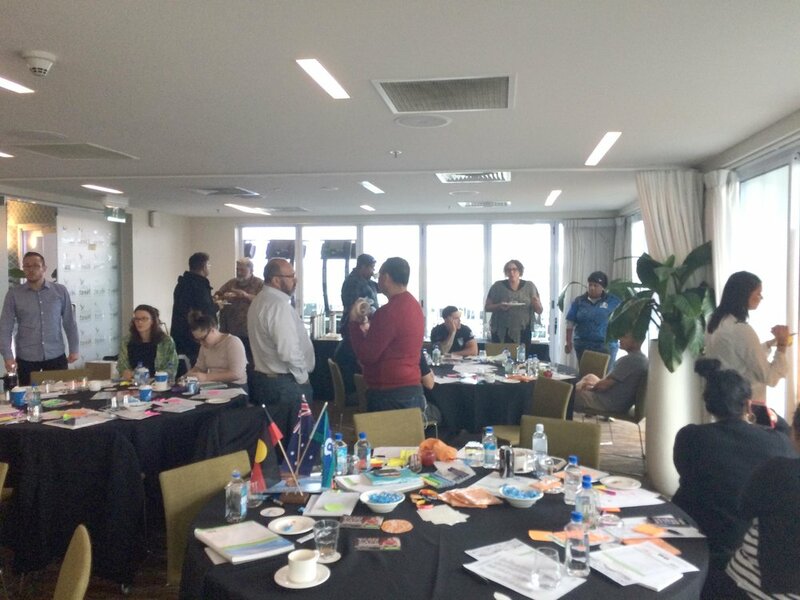 Viewpoint: In the headspace creative strategy session a lot of participants reflected on ‘returning to country.’ People felt that going back to country helped to ground and centre them as a person. They also felt it rejuvenated them, gave them clarity and played a big role in their identity. Some people also said it was good to leave country as well, to get away from the dramas of Family and Community. This viewpoint has been a major consideration within the final artwork piece and is shown in the cultural pathways that lead to and from the central design (the brain symbol). 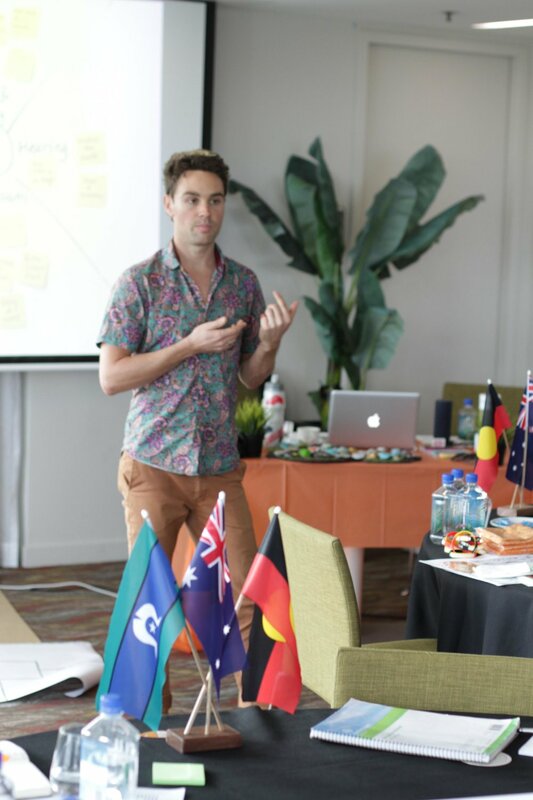 Knowing it is an important factor and consideration for Aboriginal and Torres Strait Islander People to have a connection to country and going back to country is paramount not only for an individuals identity but also as a holistic way of treating that person. 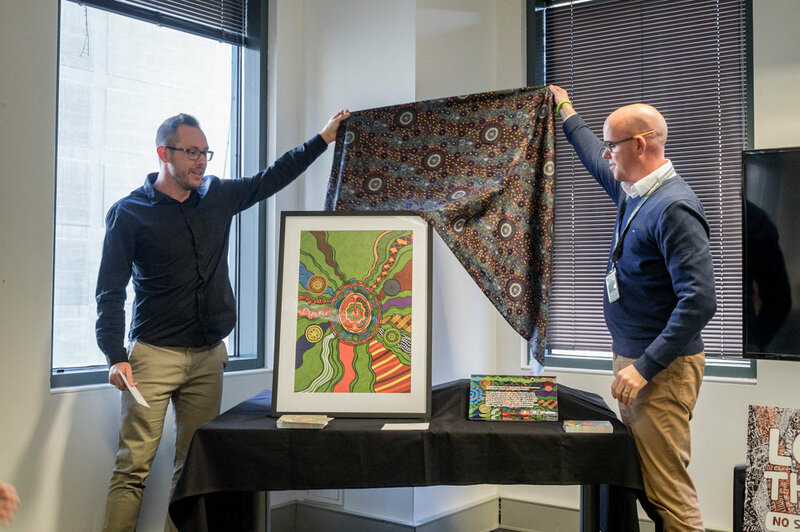 On Wednesday 31st May 2017 to coincide with National Reconciliation Week 2017 (27 May- 3 June), the headspace bespoke artwork: • Mind • Body • Spirit • Culture • Country was unveiled. 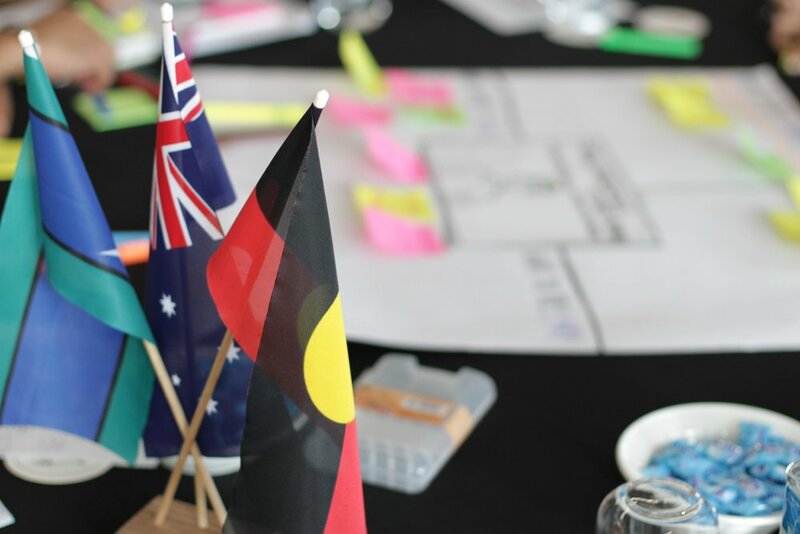 · Each centre had the opportunity to work with their local Aboriginal & Torres Strait Islander community to develop local wording acknowledging country and community of where there centre is based. 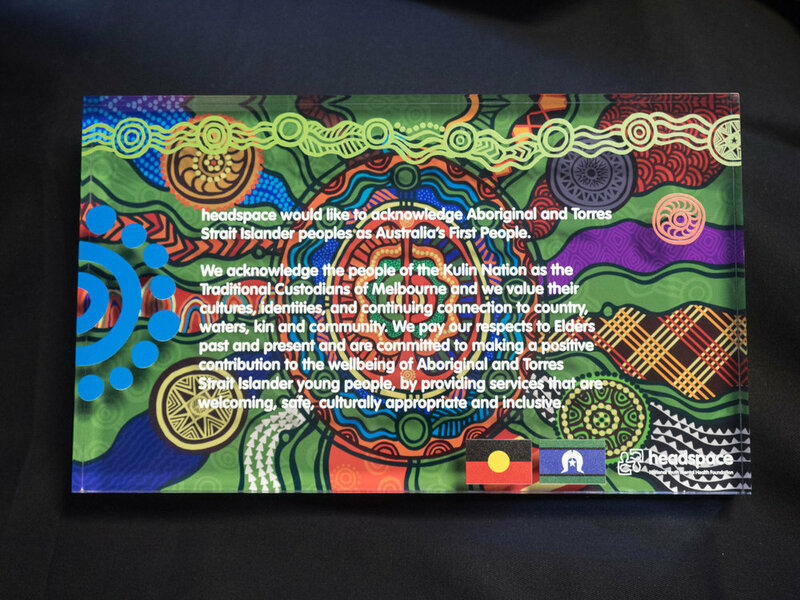 · Every headspace centre has received a copy of the artwork, the story and Acknowledgment of Country plaque. I really wanted to take the opportunity to thank you – Riki Salam & Diana Salam (weare27) & Monique Proud & Kristian Goodacre (Positive Social Solutions), for your involvement and creativity throughout the process and of course to Riki for the final product. To think it was 12 months ago we were all together in a room, brainstorming and planting the seeds that grew into this stunning piece of work. The feedback from our staff and centres has been overwhelming. So thank you again for helping us capture and share what headspace is all about, through our traditional means of art and storytelling. 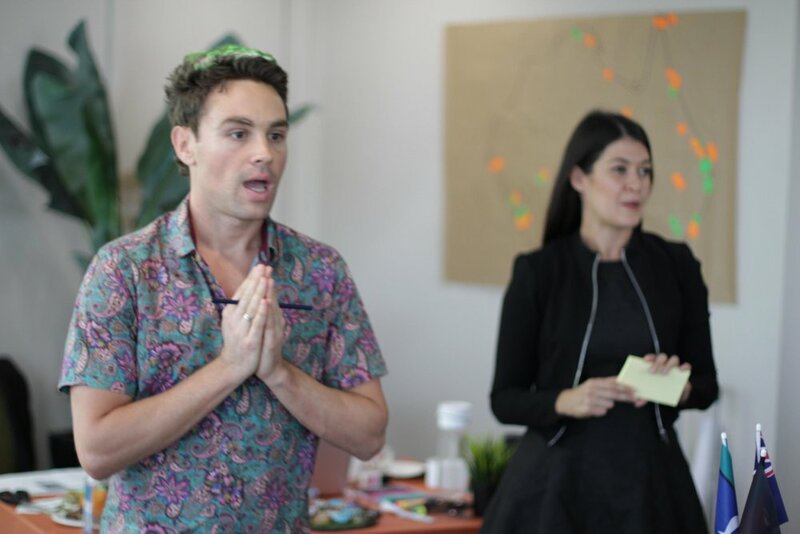 weare27 would like to thank everyone involved in the creative strategy workshop, design evolution and application for their commitment and enthusiasm in ensuring the story of headspace can effectively communicate to Aboriginal and Torres Strait Islander people nationally. Older Post#BTH20 - HEALING A NATION, NATIONAL SORRY DAY.